Looks good but it's all wrong - how not to look after an Irish historic graveyard. Mick Gibbons put a few photographs on facebook of a graveyard in Mayo where the whole interior of an historic graveyard has been covered in gravel. Not just gravel paths, but the whole interior. I normally don't comment on those kinds of blunders being a firm believer in 'let he who is without sin cast the first stone'. However, I did share Mick's photo on our facebook page and I'm going to use it here again. For the simple purpose of trying to explain why it was a blunder. Probably well intentioned, and probably done by decent people, but still a blunder. Read more about Looks good but it's all wrong - how not to look after an Irish historic graveyard. Finding monumental sculptors in Ireland. The people who put up headstones have many names. Stonemason, stonecutter, lettercarver, sculptor, and monumental sculptor are a few that come to mind. Sometimes, about 1% of the time, we find the stonecutters name carved on the bottom of the headstone. It'll say something like Fecit D McCarthy. Which is latin for D McCarthy made this! Read more about Finding monumental sculptors in Ireland. Living and dying in Ireland 100 years ago. How to follow the clues! Peter O'Connor died in Cork city, Ireland, in 1909. He was only 1.5 years old. The cause of death was natural and a woman called Margaret O'Connor paid for his burial. Presumably his mother but maybe not. Read more about Living and dying in Ireland 100 years ago. How to follow the clues! It's the most important digital resource for Irish family history and genealogy! As one of the main women behind it, Dr Caitríona Crowe, said though, it's a digital copy of the census, not _the_ census. Step 0 - search your address/townland name in www.townlands.ie and find your place- write down some of these; town, townland name, street & electoral division. Surname searches using Historic Graves Family Search Page. When we started doing the Historic Graves Project I thought we'd get about 100-200 Irish surnames. How wrong could one archaeologist be? Growing up in Cork city I thought I knew most Irish surnames - O'Connell, O'Callaghan, Lyons, Sutton, Hurley, Connery, O'Mahoney, Varian, O'Keeffe, were the surnames that surrounded us - my own surname didn't quite fit in though cos I think we were the only Tierney's in a school of 1000 students. Our teachers were Daly, Olden, Lynch, Hannon. Read more about Surname searches using Historic Graves Family Search Page. Lost in Ireland - trying to avoid it. I've been lost in every county in Ireland. I like it. Being lost. Unless there's somebody waiting at the other end. Don't like that feeling as much. As a city 'boy' rural Ireland was a strange country to me. Except for a small pocket of S Limerick, the rest of Ireland may as well have been Ontario or Florida until my early 20s. I liked geography at school and I knew the names of rivers and mountains but I couldn't tell you was Duhallow a town, village or what? Read more about Lost in Ireland - trying to avoid it. When we run our workshops we cover a lot of ground and 'learn by doing'. The average training session lasts two days and our training manual is twenty pages long - but most people learn the system without even using the manual. 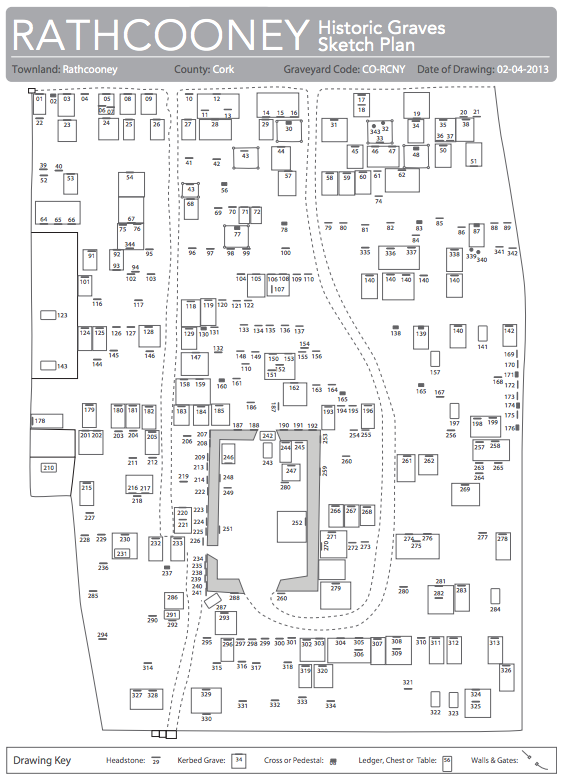 People sometimes ask us to condense the system further and this is a quick attempt to do so. 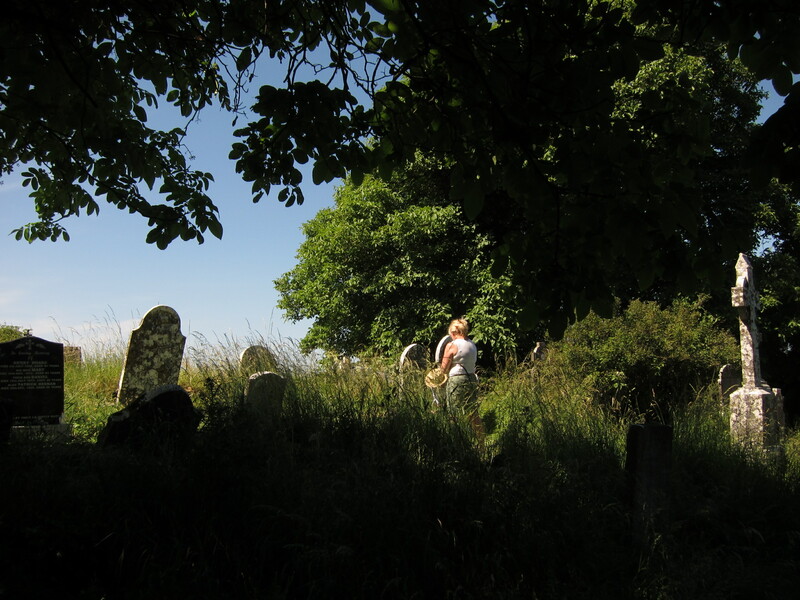 In the training workshops we cover 3 Simple Steps to Surveying an Historic Graveyard/Cemetery and the system has been used to publish everything from small rural graveyards to very large urban cemeteries. The system feeds directly into our own site www.historicgraves.com but it works equally well for building a dataset to upload to any digital database. 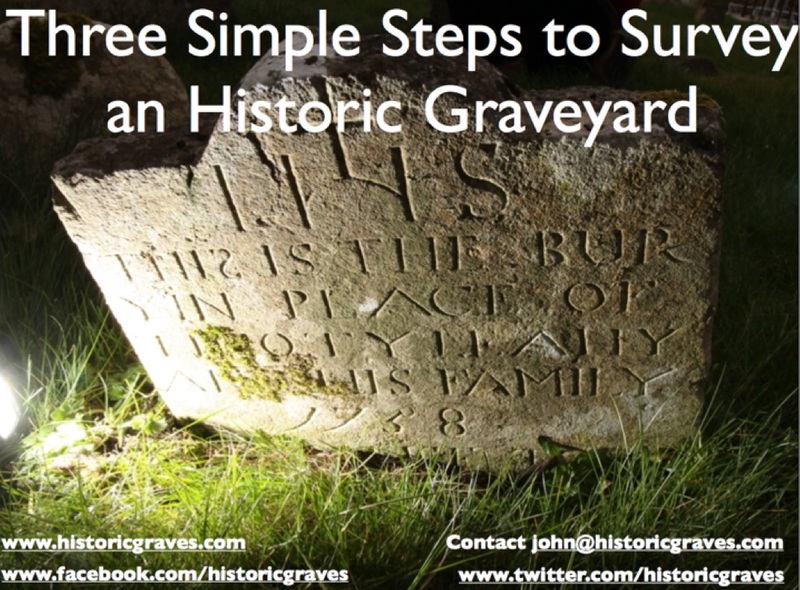 A short video showing how to signup and become a member of the Historic Graves website and project.